NEW ORLEANS, Louisiana—Whew! We spent the final two days of this trip on a letterboxing marathon in New Orleans. Having found most of the existing boxes in the Big Easy in December of 2010, we watched the Atlas Quest web site with growing interest as more and more boxes were listed in this fascinating city over the past year. And then more. A letterboxer who moved to the Crescent City from Florida planted the vast majority of the letterboxes. Old New Orleans cemeteries were among his favorite locations for hiding these urban treasures. Although we have visited some of these hallowed grounds before, we became much better acquainted with them on this visit. 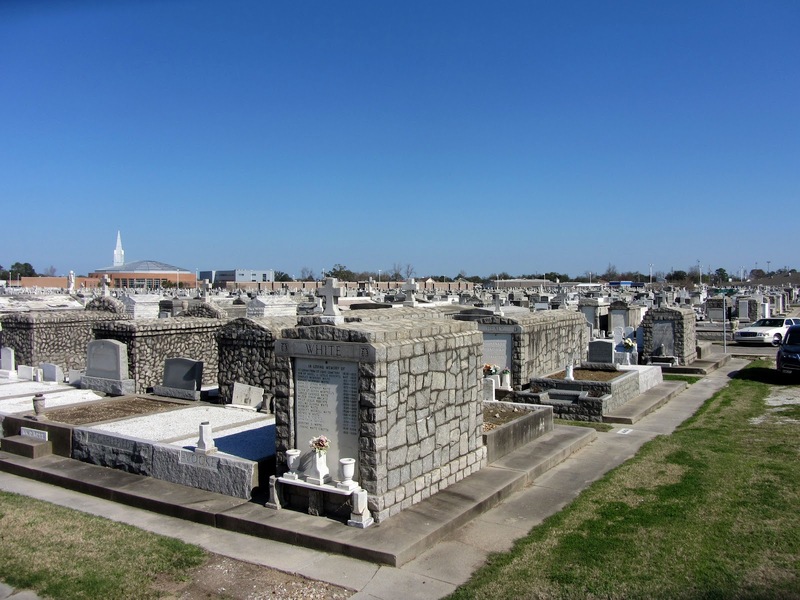 Established in 1867, the Valence Cemetery was originally laid out for residents of a suburban village later annexed by New Orleans. Valence houses a number of society tombs. Professional and benevolent societies were very common in early New Orleans. In addition to other services, these organizations administered to the burial needs of their members by providing mausoleum-like structures for the exclusive use of their organization. Ethnic groups such as an old Italian Mutual Benefit Society also built society tombs in Valence. 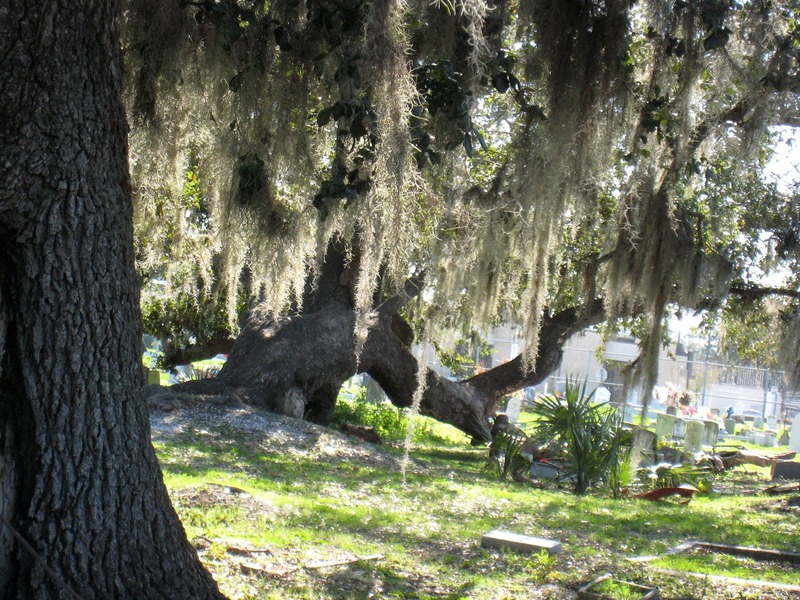 Owned by the city of New Orleans, Carrollton Cemetery dates back to 1849. 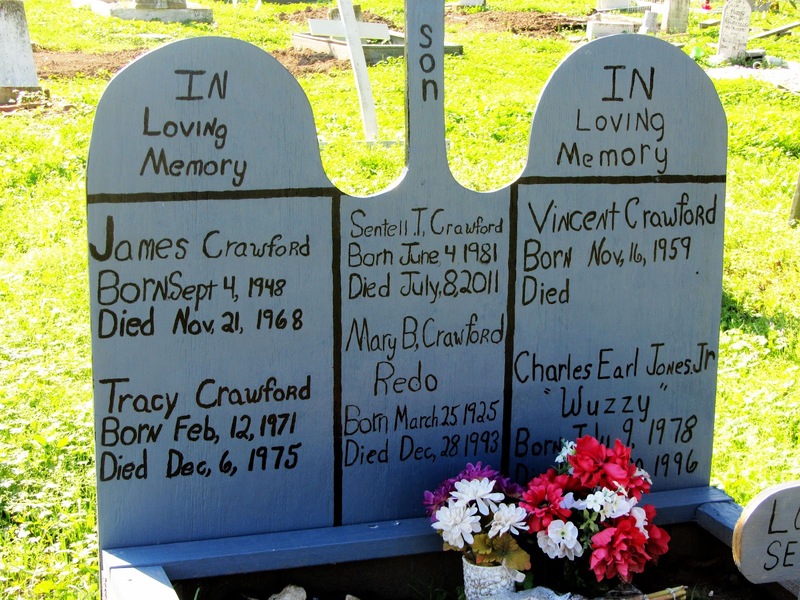 The graveyard was originally divided into sections for "colored" and "white." With the differing financial means available to each group, a distinct contrast can still be seen between the two, with mostly in-ground burials in the "colored" section and more elaborate tombs and markers in the "white" section. Lest it appear disrespectful to search for letterboxes in these hallowed grounds, let us point out that the clues for these boxes gave very specific locations, down to pinpointing the x and y axis in photo clues, such as the one above. When you looked at the picture in imaging software and identified the coordinates provided in this clue, you knew immediately to look in the bottom of the two stacked concrete blocks. There's no willy-nilly turning things over, so nothing important is disturbed in the search. We had not seen this particular strategy before but really appreciated the idea. Begun in 1879 as a burial place for the city's indigent, Holt Cemetery continues to serve the burial needs of those who cannot afford more expensive options. For the cost of a burial, the plot is given to the family of the deceased as long as they maintain it. As in most graveyards, some plots are well-tended while others are sadly neglected. 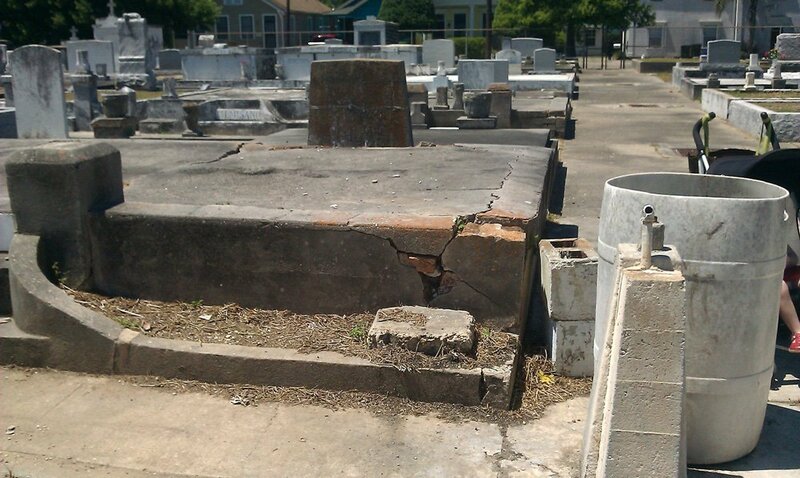 After Katrina drove so many residents from the city in 2005, many of these deceased no longer have local family members to take care of their graves. Unlike other New Orleans cemeteries where most deceased are interred in above-ground tombs due to the city's shallow water table, Holt's graves are all underground burials. And as is common in the city, multiple burials are allowed on the same plot. Almost all markers and plot edgings are home made and bear tender sentiments of those who loved these people. We were particularly saddened by the relatively young age of some of the deceased and wondered how their young lives had ended so abruptly. In 1852, when New Orleans was suffering through a national yellow fever epidemic, Greenwood Cemetery was established with more than 150 acres to provide a final resting place for many of the city's victims, numbering in excess of 8,000. The city's first above-ground cemetery without walls, Greenwood was designed with minimal architecture and landscaping to maximize capacity. In contrast to some other cemeteries we visited, Greenwood is meticulously maintained. 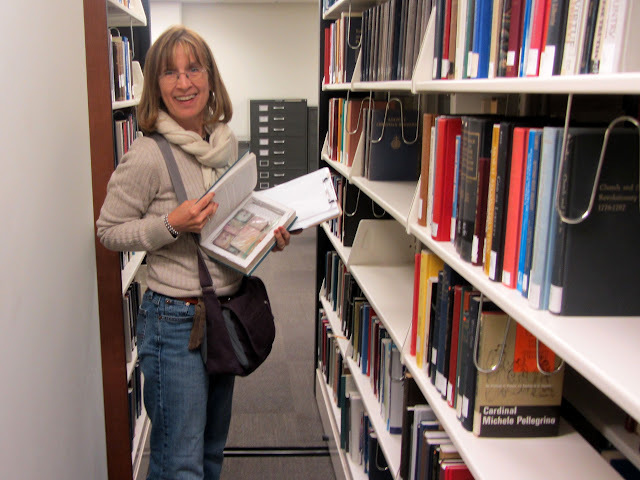 In addition to our cemetery explorations, the New Orleans letterbox search also took us into several local libraries. 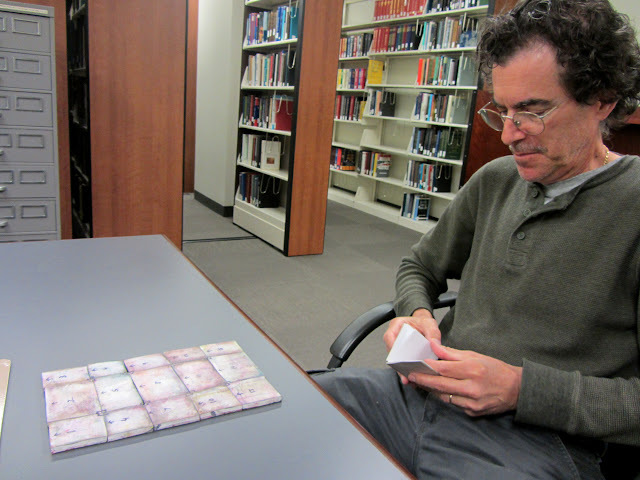 On a little-used shelf in a law school library, we found a book with a hollowed-out recess holding a set of 15 stamps. Fitting the stamps together like the picture puzzle they were, we discovered a wonderful carving of the legendary gospel singer and New Orleans native, Mahalia Jackson. 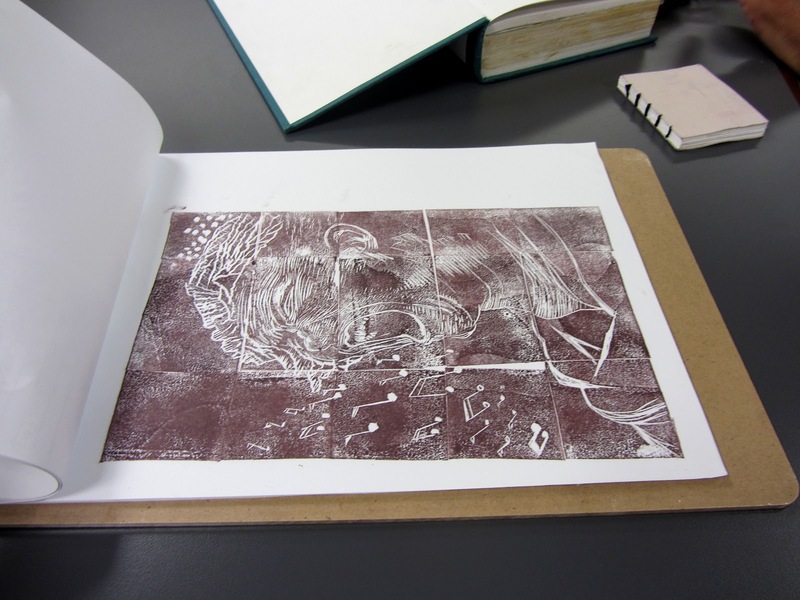 Other clues led us from one section to another in a university library and into one of the city's public libraries. By the end of two very full days in New Orleans, our letterbox find count had increased by 87. Since our "normal" average when traveling is four or five boxes per day, this was a remarkable number. Not surprisingly, this did not represent 87 different containers at that many locations, a feat which would require nonstop searching and stamping with no time for food or rest. Our friendly local letterboxer seems to enjoy carving stamps much more than he likes seeking out clever hiding places for them. His solution is to just add a new "box" (stamp and logbook) to the container where one of his other boxes already resides. So it was quite common to find two, three or more "boxes" in one container. We searched cemeteries, libraries, parks, church grounds, street corners, and businesses. 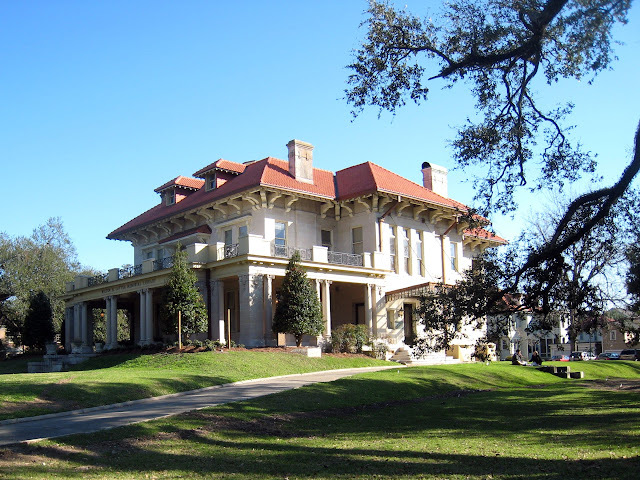 But by far the most unusual place we found some of these New Orleans treasures was on the grounds of private homes. In the clues, the homeowners were described as "letterbox friendly" but wishing to enjoy their privacy while hosting these special repositories in their yards. Our final stopping place of the second day was yet another home which we suspect to be the residence of the planter. Rather than searching for a hidden cache, we found a stack of tupperware containers sitting in the open on the side porch. Not much of a challenge, but the stamps were a nice reward, and the treasure in the chest can be increased any time of the day or night, whenever he finishes carving his latest masterpiece.